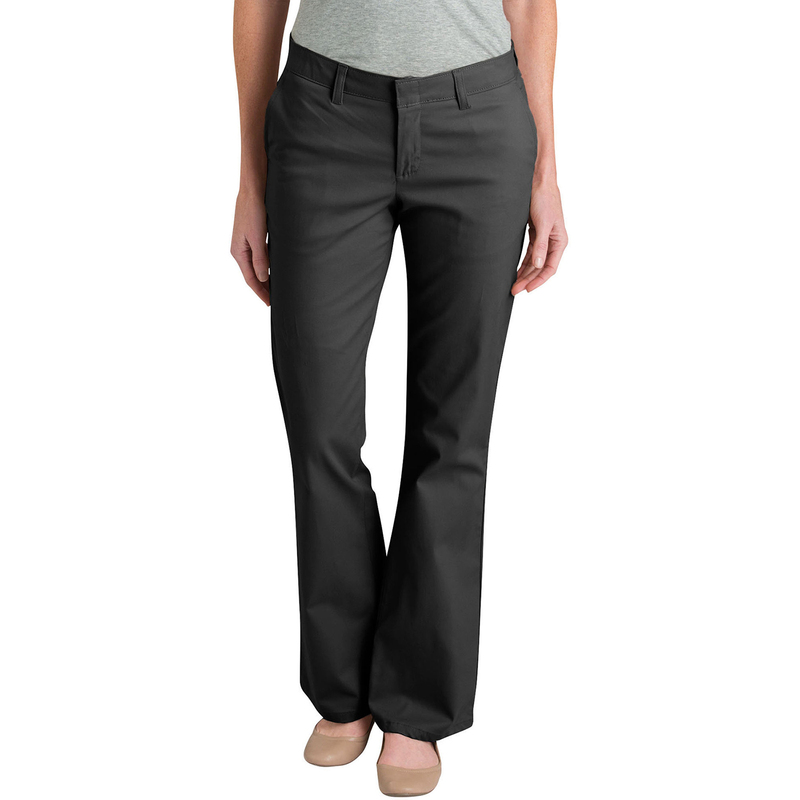 This ultra-comfortable mid-rise pant sits slightly below the waist with a slim fit through the seat and thigh. This versatile stretch twill pant is engineered for ease of movement with just the right amount of give and has a contoured waistband with stretch interlining to prevent gapping in the back. This soft brushed fabric pant has a hook and eye closure for a seemless look on front. This bootcut pant will give you the easy, flattering fit and simple look you are after. 7.3 oz. twill, 98% cotton/2% spandex.